In 2013, 394 new mosques were established. Of these 136 were built new and 258 were existing buildings converted into mosques. 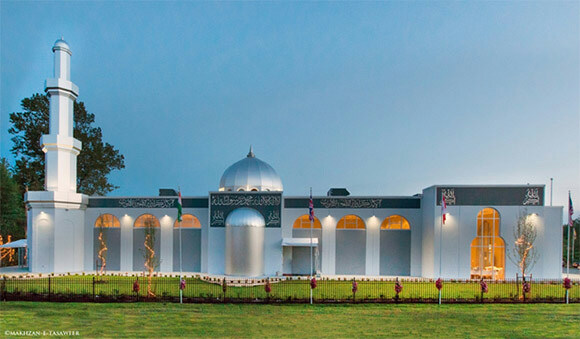 The Ahmadiyya Muslim Community, under the divine leadership of its spiritual leader, gives the building and constructing of mosques its due importance and has thus far opened over 10,000 mosques around the world. 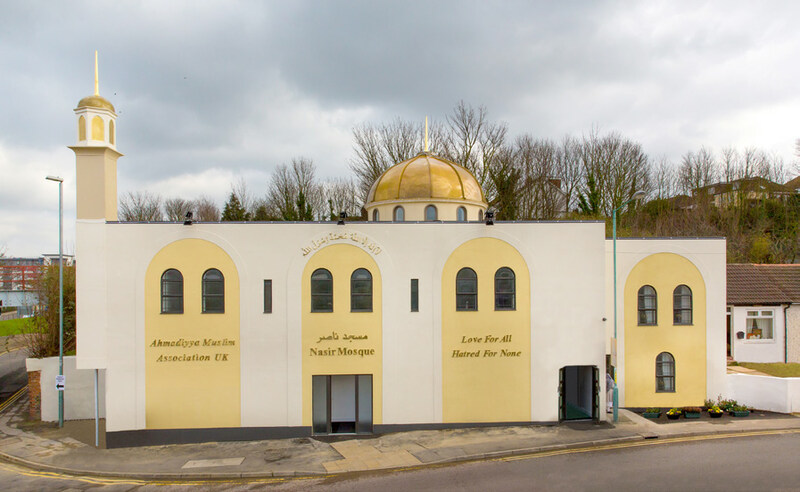 His Holiness Mirza Masroor Ahmadaa, Khalifatul Masih V, opened the first purpose built mosque in the southern England county of Kent on 1st March 2014. A special reception dinner was hosted by the Ahmadiyya Muslim Community which entertained over 180 dignitaries and guests. These esteemed guests included neighbours from the local community, faith and community leaders, city mayor, Members of Parliament and representatives from the military and navy. Earlier in the year his Holiness, Mirza Masroor Ahmadaa, Khalifatul Masih V and Head of the Worldwide Ahmadiyya Muslim Community, inaugurated the Noor Mosque in Crawley, West Sussex, UK on 18th January 2014. 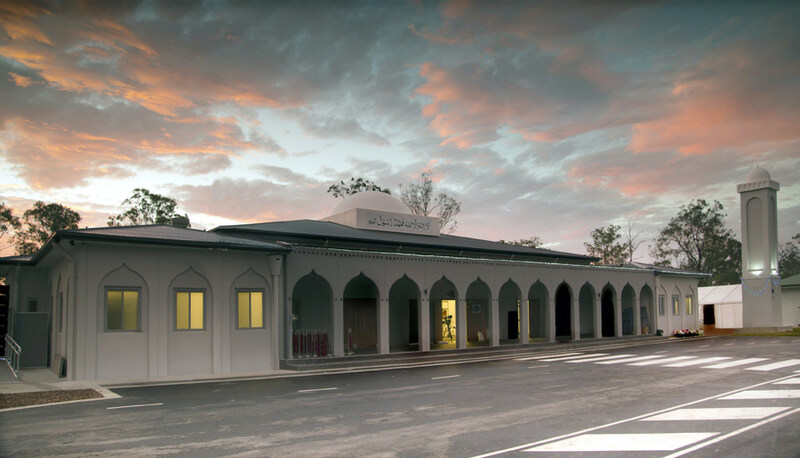 On 23rd October 2013, the worldwide Head of the Ahmadiyya Muslim Jama’at delivered keynote address at a special reception held to mark the opening of the Masroor Mosque in Brisbane. Various dignitaries and guests, including Members of Parliament and Queensland’s Commissioner of Police, attended the event. His Holiness addressed a special reception held to celebrate the opening of the Baitur Rahman Mosque in Vancouver, Canada on 18th May 2013. During his address, he reassured the audience that they had no reason to fear Ahmadiyya Mosques because they were built only for the worship of God and for the sake of serving humanity. He also addressed the issue of Jihad by explaining that when permission for defensive war was given to the early Muslims, it was given as a means to protect all religions and all places of worship. 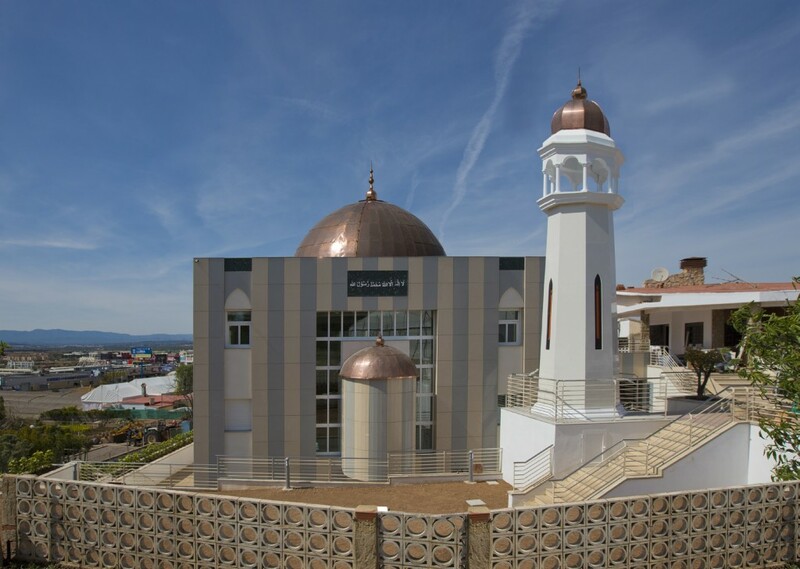 On 3rd April 2013, His Holiness addressed a special reception held to celebrate the recent opening of the Baitur Rahman Mosque in Valencia. During his address, Hazrat Mirza Masroor Ahmadaa explained true Islamic teachings of peace, justice and tolerance.